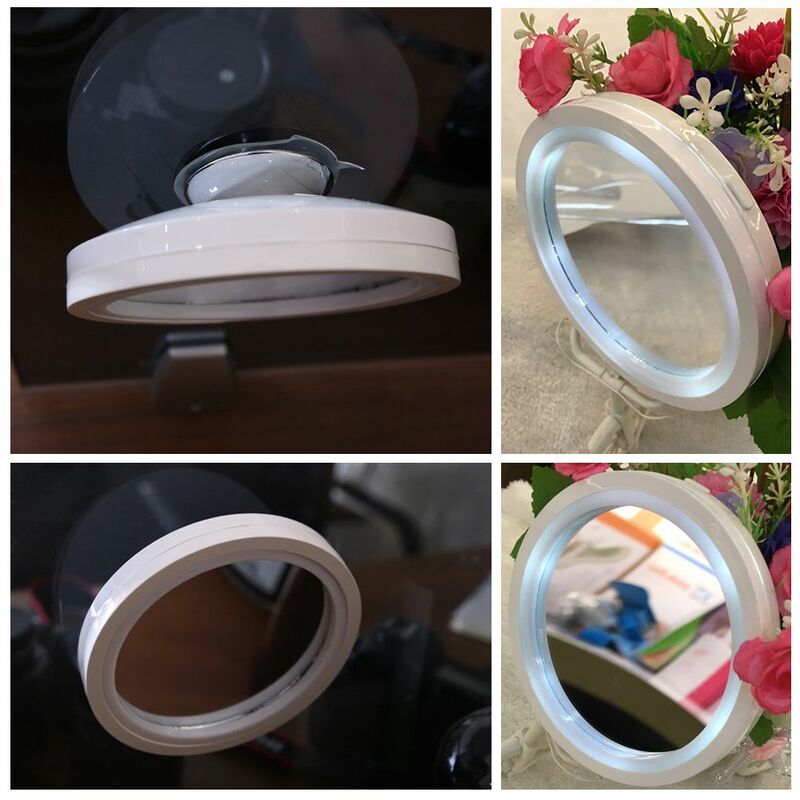 360 LED Magnifying Mirror comes with 6 LED lights. It clearly magnifies the visible pores in your face for 5X. It is distortion free, with high optical quality mirror. Convex, pivot-flex base holds and adjusts 360° for perfect angles. It is also cordless and doesn't clutter up counter space. No tools needed and stick without screws and detaches easily.